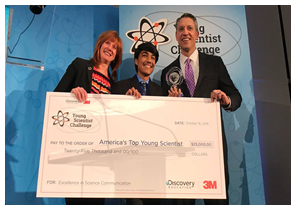 Indian-American kid Rishab Jain (Age 13) of Portland, Oregon is "America's Top Young Scientist" for creating a tool to treat pancreatic cancer more effectively. Read more about it below. Dr. Ana Bajzelj, a Jain scholar, has just joined the University of California at Riverside, California as the Chaired Professor of the newly established Shrimad Rajchandra Chair in Jainism. ISJS’s first winter program (Dec. 28, 2018 to Jan. 7, 2019) gives an opportunity to study Non-violence & Jainism in India. 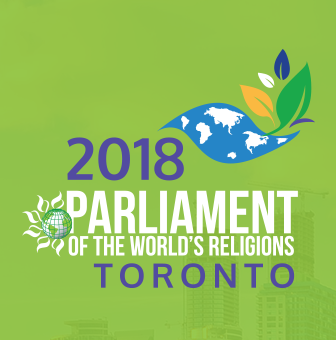 The Program is designed for undergraduate and graduate students, Post-Doctoral Fellows, full-time faculty and High School Teachers with an interest in the Jain Studies and ahimsa (nonviolence). More details are given below. Q 1: What is the Navkarasi? Q 2: What is the Porsi? Indian-American whiz kid Rishab Jain, 13, of Portland, Oregon is America's Top Young Scientist for creating a tool to treat pancreatic cancer more effectively. Regarding his future career goals, Rishab aspires to be either a biomedical engineer or a doctor so that he can keep developing technology to find a cure for cancer and improving people’s lives. 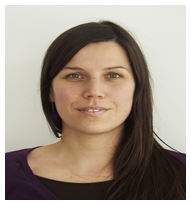 Dr. Ana Bajzelj, a Jain scholar, has just joined University of California at Riverside, California as the Chaired Professor of the newly established Shrimad Rajchandra Chair in Jainism. She is the first Chaired professor in Jain studies in USA. Lectureships, Professorships, and Chairmanships in Jain studies are available at various universities in California. In addition, hopefully we expect soon to sign soon the MOU for a combined Jain and Sikh Post Doc position at San Diego State University in San Diego. Here’s an opportunity to study Non-violence & Jainism in India. The Program is designed for undergraduate and graduate students, Post-Doctoral Fellows, full-time faculty and High School Teachers with an interest in the Jain Studies and ahimsa (nonviolence). The winter program will entail morning lectures, afternoon field trips, visits to some schools, time in a few ancient cities and meetings with Jain professionals, monks and nuns. Program: Designed & conducted by ISJS. ISJS has conducted 14 summer schools of far more depth and duration and attended by 860 overseas participants primarily. This special program aims to stress Jain philosophy, the way of life and their relevance in today’s world. Target participants: Undergraduate students, graduate students, Ph.D. candidates, Professors, and faculty members of universities abroad and India, High school teachers, and professionals who wish to have experiential Immersion in Jain philosophy and way of life. Place: Ahmedabad (Gujarat), Jainism and finest academic institutions in India. Program Duration: 28 December 2018 — 7 January 2019. The program includes two days of visits to famous Palitana hill, Jain temples, monks and institutions around Ahmedabad. Fee: US$ 500* payable in advance. However, it will be reimbursed in full by JAFNA, USA after successful completion of studies by the participants. Application Deadline: 30th November, 2018. So far 20 scholars have already registered. Apply online at: www.isjs.in/node/209. For more details please visit: www.isjs.in. 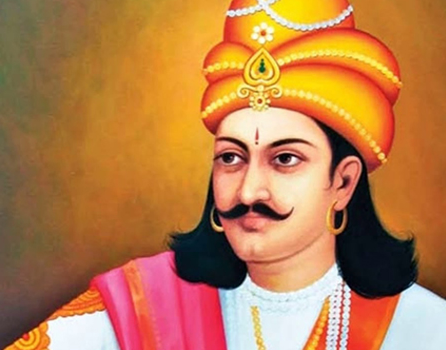 Ashokchandra, a kshatriya by caste was a poor man who lived in the small and peaceful town of Champapuri, which was situated in the Bharat Kshetra. He was very unhappy about his impoverished way of life, which was a result of his past lives’ inferior karmas and was frustrated with living in poverty. Thus, he used to go from one town to the other in search of means with which he could become wealthy. Even a small ray of sunlight illuminates a pitch-dark cloudy sky, similarly, Ashokchandra’s suffering, which was an outcome of his bad karmas built in the past, seemed to disappear as he ran into a Jain monk while traveling. Ashokchandra respectfully bowed down to the Jain monk and asked him for a way to overcome the poverty he was currently in. By devotionally worshipping the eternally pious mountain Girnar, with utmost amount of faith and admiration, one derives all sorts of materialistic and spiritual wealth and ensures he/she gets a good life in future births, eventually leading him/her to salvation! The worst of the worst sinners can be freed of their sins by assiduously worshipping the unconditionally giving, extremely pious and holy mountain, Girnar. The wonders of Girnar are infinite. A 1: One must take food and water 40 minutes after the sunrise. Even the brushing of the teeth and rinsing the mouths must be done after that time. A 2: Taking food or water three hours after the sunrise.